It seems we can’t get enough of futuristic self-driving cars. Except that they really aren’t futuristic any more. This fall, Uber will be rolling out self-driving, ride-sharing vehicles in select locations as part of a concept test. 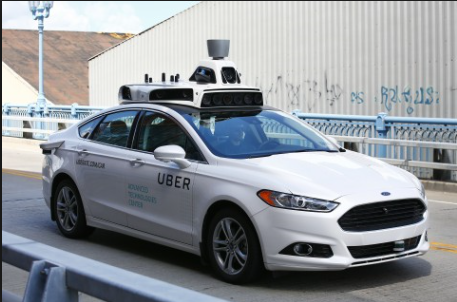 In Pittsburgh, Uber users are now able to hail a self-driving Ford Fusion. While the cars can navigate on their own, an Uber engineer will be in the driver’s seat to take control if needed. Why Pittsburgh? Because it is a hard city to navigate with bad driving conditions, including snowstorms, hills, and aging roads and bridges. The company spent 18 months testing and refining the ride. Cars have 20 cameras, seven lasers, and 360 degree coverage using a 3-D map of the area. While industry experts think it will be years, maybe even decades, before the general public is driven around by driverless cars, nonetheless, it is happening now in a controlled test environment. There will undoubtedly be problems, but there is no stopping the progress of self-driving cars. Discuss self-driving cars. Poll students about their opinions. Would they ride in a self-driving Uber? For Uber’s self-driving rides, break students into teams and have each team build a SWOT analysis grid. Without a doubt, Gatorade is the gorilla in the sports drink industry. However, even though the company controls roughly 70% of the sports drink market, it knows it cannot rest on its current success. There is constant pressure from new challengers in the sports and energy drink and market, particularly from healthier sports drinks such as organic drinks and coconut water. 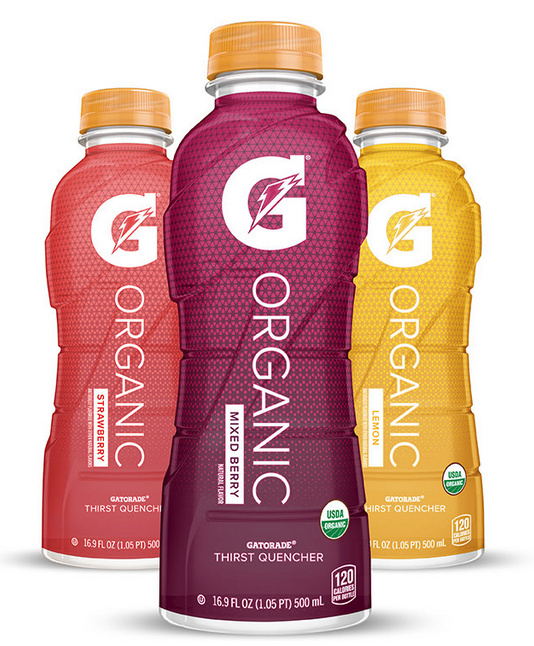 In response to the growing consumer demand for organic foods, Gatorade spent two research of research to formulate the new product – G Organic. The product contains only seven ingredients: water, organic cane sugar, citric acid, organic natural flavor, sea salt, sodium citrate and potassium chloride. It’s worth noting the G Organic does contain more sugar (7 teaspoons) than the USDA recommended allowance (6 teaspoons). While the product is currently in limited distribution, the company plans to grow the rollout into new markets. There are three flavors – strawberry, lemon, and mixed berry. Suggested retail price is $1.69 for a 16.9-ounce bottle. This is 50 cents over the nonorganic Gatorade Thirst Quencher drink. While broad food sales gained only 3% growth last year, the organic food industry sales in the U.S. is up 11% to $43.3 billion in 2015. There is increasing demand from consumers, athletes, and nutritionist for healthier energy drinks. Getting an organic designation isn’t easy. The company had to eliminate all artificial ingredients and refine its manufacturing process in order to earn the USDA organic accreditation. First, discuss the new Gatorade Organic products. For Gatorade Organic product, break students into teams and have each team build a SWOT analysis grid. The true test of a company’s marketing strength often comes to the front when a company is faced with crisis communication regarding its products or services. And this month, it’s Samsung’s turn in the spotlight for problems with its high-end smartphone, the Galaxy Note 7. The issue is that some customers have reported that their phones have caught fire due to the lithium-ion batteries. According to the Consumer Product Safety Division, in the U.S. there have been 92 reports of batteries overheating, 26 reports of burns, and 55 reports of property damage. Samsung reacted quickly to the issue, but it has been a far from smooth process so far. No wonder – there are more than 2.5 million units of the Galaxy Note 7 in circulation, making it the largest recall of smartphones. Statements from Samsung and the Consumer Product Safety Division have not been totally in sync either, causing confusion among the smartphone owners as to the correct process to use. Airlines are making multiple warnings that caution owners not to turn on the phones while on airplane. (Note: I was one several planes last week and heard multiple announcements about not using the phones on the planes – thanks, airlines!) This issue will undoubtedly hurt Samsung sales and stocks, particularly in conjunction with the recent announcements of new iPhone models. Replacement phones are due to be available in the U.S. by the end of September. 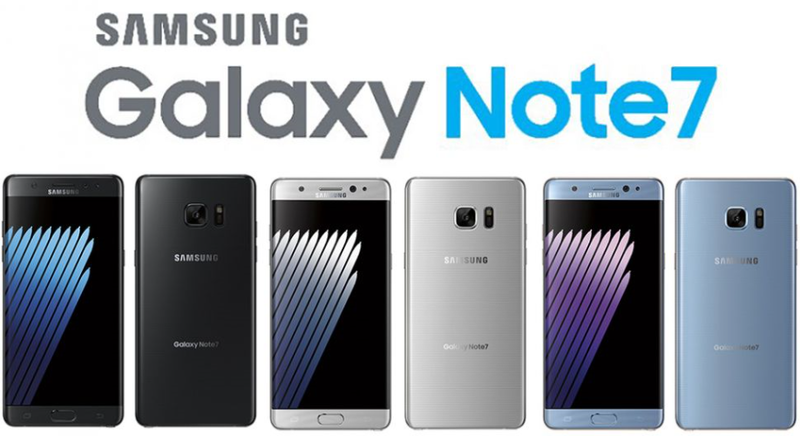 Poll students: How many have a Galaxy Note 7? How does the recall impact the students’ perceptions of Samsung? Discuss crisis communications and the importance of companies having a plan in place BEFORE a crisis occurs. Have students review the statement and recall instructions. They might also use laptops to research the various instructions. What other products have safety issues? How will these impact a company’s sales and brand? Divide students into teams. Have each team put together a crisis communication plan for a company. (Examples: food recalls, automotive recalls, etc.) Include press release, news outlets, and recall/replacement process.